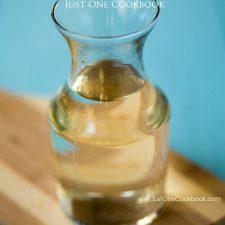 Learn how to make simple syrup at home. An essential kitchen knowledge to have in your back pocket to sweeten your cocktails, iced tea, iced coffee, fruit juice and more. Bring the water to a boil and dissolve teh sugar into the boiling water, stirring constantly. 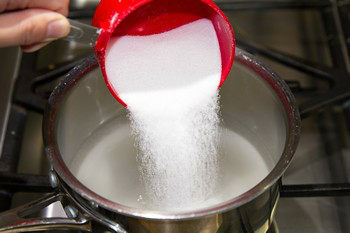 Once sugar is dissolved completely, remove from the heat. Let it cool and then store in a glass jar/bottle. The syrup can be refrigerated in an airtight container up to 1 month.